The other bloody Mary legend is more historical and actually based on a degree of fact. Imagine that! 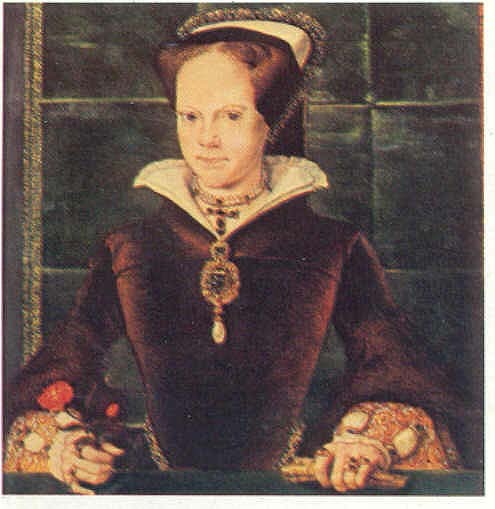 Queen Mary I of England was born February 18, 1516, the daughter of King Henry VIII, and his first of six wives, Catherine of Argon. Mary was the only child from that union to survive infancy. She reigned as Queen of England from 1553 until her death in November of 1558. Mary had always rejected and resented the break with Rome that her father had instituted and his subsequent establishment of the Anglican Church(Protestant). Legend has it that Mary was Hell bent on bringing England back to Roman Catholicism by any means necessary. The effort was carried out by force, and hundreds of Protestant leaders were executed in Mary’s bloody reign of terror. This earned the queen the title of “Bloody Mary.” Now there’s a feel good, romantic comedy movie! Bloody Mary legend abounds. Tell me, how do you see bloody Mary in the mirror? Are you sure you want to know how do you see bloody Mary? Well, this is a story I must tell. If I did not, I would surely be dealing my readers less than a full hand of cards. Her history precedes even that of the legendary cocktail we have come to know and crave. Stories vary, each more sordid than the former. As an historical figure, Bloody Mary is indeed legendary. But before we study the current day effects of her reign, let us nail down the question how do you see bloody Mary ???. Bloody Mary’s are a topic that I’ve researched daily. Go ahead, pour a bloody Mary cocktail and read up on the legend of bloody Mary. There are several popular legends and/or myths as well as movies about the old gal Let me summarize. When I’m done, I’ll tell the real story of bloody Mary. Now for the real bloody Mary legend. Yes, the real one – ! Mary was the first of my six wives. the queen reigned over my house with an iron clad fist from the winter of 1985 to the summer of 1990. As the story goes, her husband was a prolific philanderer. His bloody Mary induced exploits would drive Mary into fits of unbridled rage. In order to cope with Mary’s bloody tirades, her husband concocted a potent recipe of ingredients never combined before. He named this cocktail, “The Bloody Mary.” Mary soon grew tired of the lime peels in her sink, and the pile of tomato juice cans littering her kitchen and left me for a fiddle player. This movie has not yet been rated, but I suppose we’ll call it, the Legend of Bloody Mary! Be sure to read about my upcoming sequel, the Legend of Bloody Maria – The story of my 3rd wife.